St. Luke writes his gospel to Theophilus, a Gentile believer who needs reassurance “of the things [he has] been taught” (Luke 1:1-4). This brings a remarkably unique account. I was amazed to recognize that while the text has a very Jewish essence–being deeply rooted in the Hebraic tradition and culture–it is also intentionally written with universal appeal. God has, from the beginning, desired the hearts of all nations, and Luke brings out that diversity without losing focus of the Jewish root of the Kingdom. It’s a fascinating paradigm. This universal appeal is multifaceted, spanning gender, age, class, culture, and nationality. No one is left out. For example, John the Baptist was born in a miraculous birth coinciding with Jesus’ birth, but as a forerunner for Him. The parallels are immense, but among them is the obvious difference in class: John came from an important religious family who had the attention of the community, while Jesus was born humbly. Class and prominence are clearly not the indicators of spiritual worth. Also in the opening chapters of Luke, Simeon and Anna–an elderly man and an elderly woman–each recognized Jesus as Messiah when He visited the Temple as an infant, demonstrating that the Kingdom is also inclusive of both men and women. And the overall focus of Luke’s gospel is not on Jesus as a sacrificial offering (a natural continuation of Jewish thought), but on the movement of the Spirit, God’s ultimate plan of reconciliation for the world, and the Kingdom of God, which is a uniquely diverse, yet unified, collaboration of God’s children–both Jew and Gentile. As one of my classmates pointed out, “same-ness is not the same as one-ness.” It’s important to encourage diversity, so that within our distinctions, the church can come together as the well-equipped, perfect, Body of Messiah. It makes me excited to press forward with the goal to be my authentic self in all things. Set in the late 1800s in Washington, D.C., Kate Livingston and Trevor McDonough had always been school-mate adversaries. Now as adults, Trevor has become a distinguished physician, while Kate (having lost the scholarship that was her only chance at college to Trevor) is struggling in a career that neither challenges or interests her. 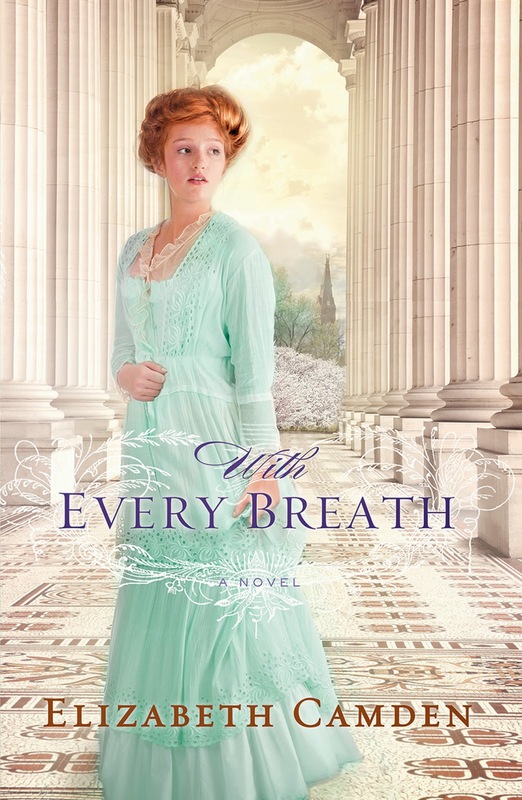 When Trevor unexpectedly pursues Elizabeth to work alongside him in his research to cure tuberculosis, she jumps at the challenge, and their wit and competitiveness merge in an amusing chemistry. As their research is threatened by a reckless and anonymous “insider,” Kate is certain that Trevor’s mysterious past has something to do with their endangerment. I loved reading this. Kate is a fiery, intellectual, strong-willed woman (not represented well by the cover picture); and Trevor is a private, equally strong-willed, introvert, gifted in his brilliance to perfect the world. The story’s depth and dynamic comes through as they each come to terms with their emotions and past wounds (especially with experiencing the death and illness of loved ones in their individual lives). While faith is a more subtle piece of the story, the theme that love is tested in fire, and is not to be reserved just when circumstances are easy really stood out to me. I also appreciated the historical detail, fascinating period-appropriate medical information, and the compelling mystery. There are several new elements in my life right now: a new look to my blog, new desires in my heart, a new fire in my spirit, and today is the first day of my third year of seminary! I was a bit anxious for this school year because our university is moving from quarters to semesters–a conversion that is much needed, but which brings added confusion and temporary chaos for students and professors alike. Also, the new online structure is not quite a “semester”–it’s a rigorous seven weeks per class; one week more than what we’re used to, with the potential for a higher workload and more expectations than before. After a meeting with my advisor I am up for the challenge, but it will maximize my time management skills. 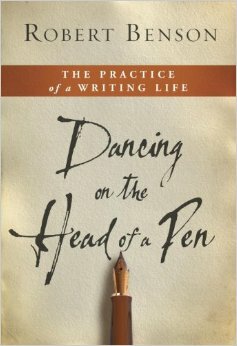 Robert Benson creatively and practically shares from his own writing process to encourage aspiring or fellow writers. I’m not sure how to describe it except to acknowledge that this is the first book about writing that has been truly inspirational to me. Each chapter is concise and fluid, focusing on a particular aspect of writing (e.g. choosing an audience, or staying dedicated). He shares his wisdom in a blend of practical advice, captivating demonstrative stories, and a moving spiritual essence. It’s not a technical book, rather an encouraging collection of insight into his own writing style and process. And it’s truly wonderful!! I especially loved Benson’s honesty and wit. The way I approach writing is very different from Benson’s, yet this book became a sort of muse for me–inspiring me to pause from the reading to do some writing of my own. I also picked up several new ideas from him that I will likely incorporate into my own methodology. It’s a book I can see myself re-reading as I need encouragement; and one I’d highly recommend to all my writer friends. Rick Dial had been the quarterback of his high school football game; but after injuring his legs in a car accident he has been avoiding real life by loosing himself in a video-game obsession. When a secret government group recruits him to enter “the Realm” (a digital world created by a Russian villian) because of his unusually high gaming skill, he begins to rethink his life–and realizes that his father, who recently deserted the family, is not whom he imagined. I have read Andrew Klavan’s Homelanders Series, and think he is one of the best choices for YA Christian fiction. His writing is swift and action-oriented. 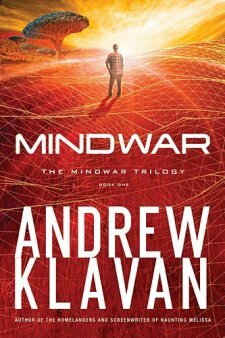 MindWar has a very different feel than his other works–it’s lighter, with a little less suspense, more room to provoke thought, but still with as much action and character risk-taking as ever. I am not clear based on the first book alone what the “the Realm” represents. It appears to be a replica of the spiritual world and spiritual battle (in a good way! ), but depending on how the story moves, the underlying message could go in any direction. I’m unsure how I feel about the “spirit guides”–maybe a different word choice would be more appropriate (I gather they represent angels). Rick learns to control his physical reality through his spiritual reality, which I find to be an excellent parallel for putting faith into action, but which could also be mistaken for the manipulation of the spiritual/physical realms as in the occult–or, on the “Christian” side of things, within the “word of faith” movement. The lines between what is and isn’t biblical are based so strongly on the posture of the heart that it is unclear which stance the story is working from since the details are not clearly defined. I judge it to be okay–even a helpful example; but having come out of an occult/New Age background, I am sensitive and hesitant over some of the scenes and word choices. Overall, I do recommend this book, despite my small hesitations. I think it will catch the attention of pre-teen to teenage boys (or action loving girls). And I like that it opens up the conversation of faith, spirituality, and the supernatural realm without being overtly religious. 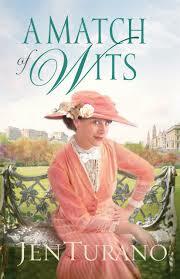 Set in 1883, Agatha is a quick-witted news reporter who naturally attracts dangerous and troublesome situations. (She reminds me just a bit of Amelia Bedelia from the popular children’s book series.) When Agatha unexpectedly reconnects with Zayne–a single and handsome man from her past–sparks fly in a match of their equally stubborn natures and evident chemistry. This novel is simply not my taste. I was intrigued by the book description, unsure about the cover, and plunged into it anyway, only to decide I had made a poor choice for myself. I still cannot decide exactly why the narrative rubbed me the wrong way because the writing is solid. I think the comedic aspect was just too much for me: over the top, with larger than life characters that were unsettling and even annoying to me. I personally found it difficult to connect with the characters, story, and not-my-style humor; and I had trouble feeling the essence of the historical period. That said, the story does begin to improve toward the middle as the character and plot focus becomes more settled and concentrated. I imagine readers who are looking for an exaggerated, light-hearted, and cheesy sort of romance and humor would likely enjoy this, even though it was not suitable for my taste.